I present you with the Tournament Manager application. 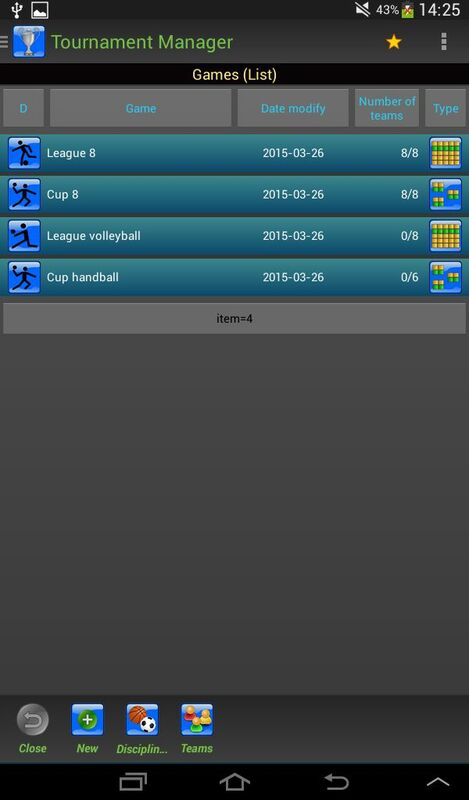 This application is designed to manage sports competitions. Saves sports results and presents a list of results, tables or ladder knockout. This tool is perfect for coaches, teachers, fans, athletes and all other sports enthusiasts. In the application, there are three registers. By default, applications are installed in the following sports: football, volleyball, basketball, handball. You may manually add and configure your own discipline. You can add any number of items. 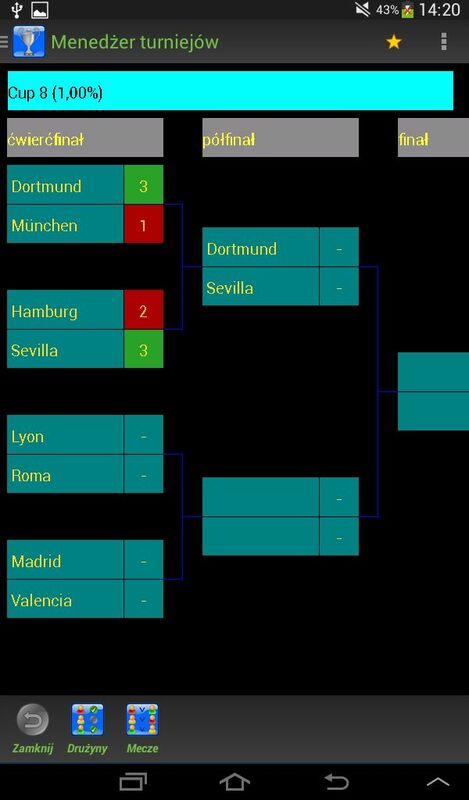 The configuration allows you to specify points for a win, a draw or a defeat, it can specify the maximum amount of points in the match, exclude draws. 2. The register teams / teams / players. the type of league games (each game each) and the cup (standard system or Double-elimination tournament). All lists are available in transparent tables. For landscape orientation on the screen device will be available two lists, for example. - The list of disciplines and details of the selected discipline. - A list of teams and the details of the selected team. - A list of games and details of the selected game. - A list of games and the list of teams assigned to the selected game. - A list of games and the list of matches / meetings assigned to the selected game. 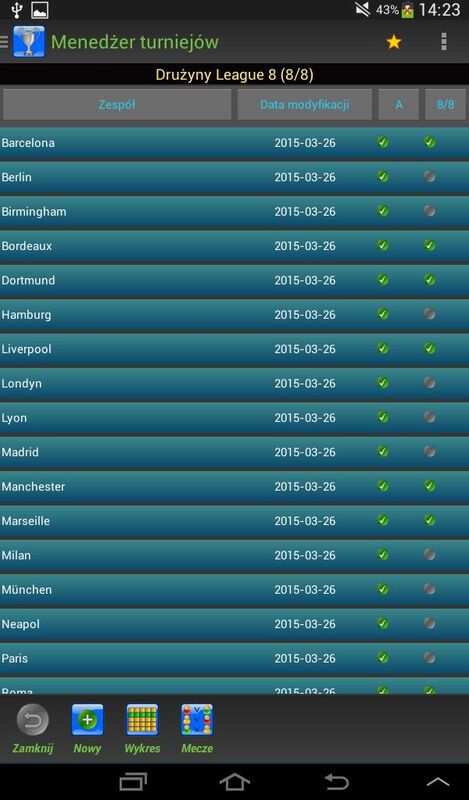 - You play for league table and the list of matches / meetings assigned to the selected game. Edit outcome of the meeting results in automatic update table games. Each item (except the default disciplines) can be removed from the database. - The application stores the data in a database SQLite available on any Android device. even in the case of very large quantities.